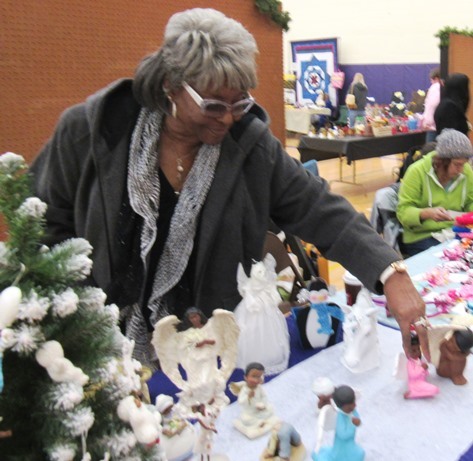 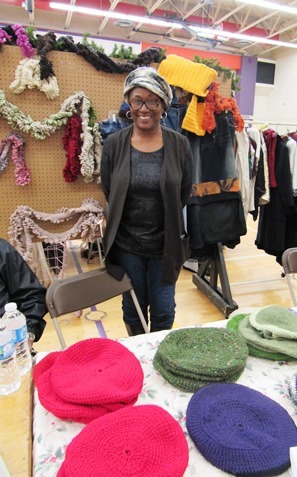 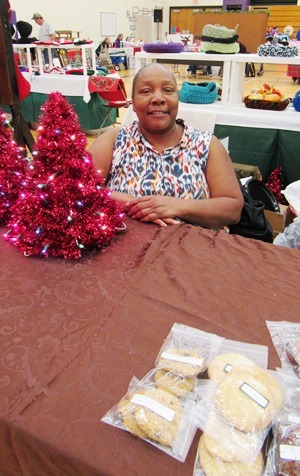 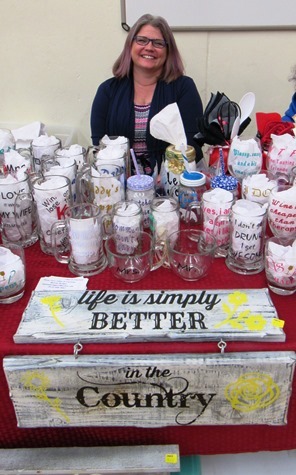 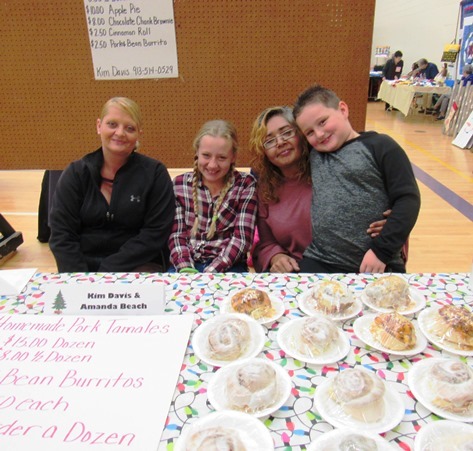 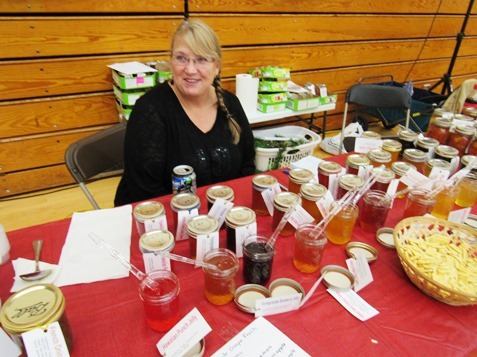 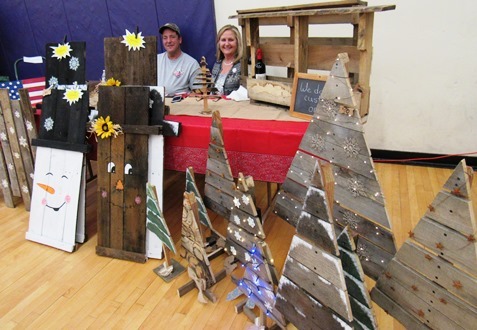 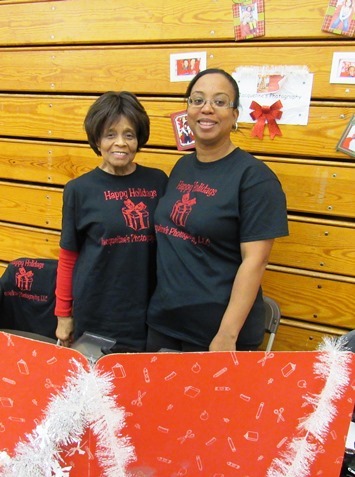 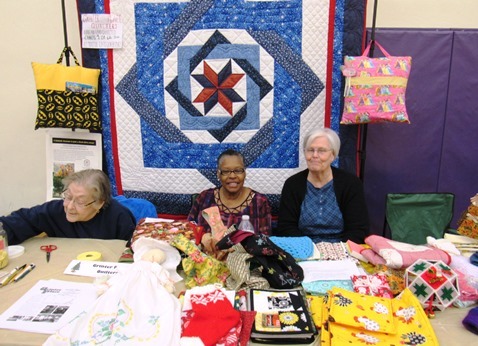 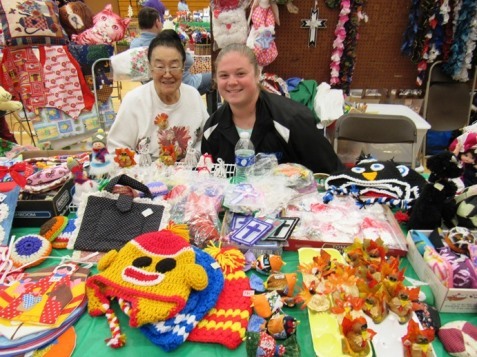 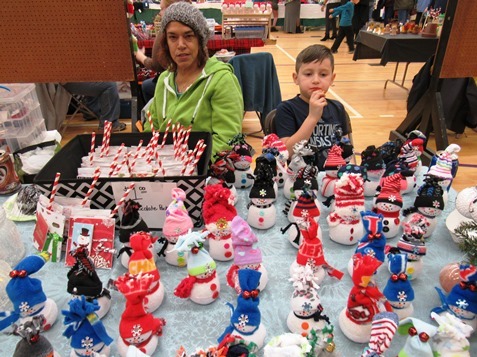 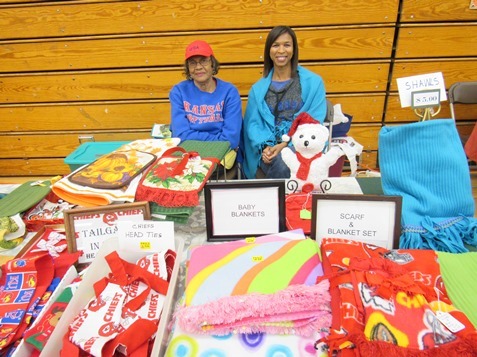 Crafters and entrepreneurs display handmade items at the Eisenhower holiday craft show – Welcome to Wyandotte Daily! 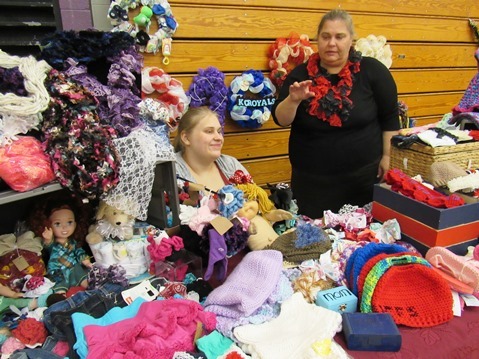 Virginia Oropeza-Delgado, standing, made blouses and scarves and tamales for the Eisenhower holiday craft show Saturday. 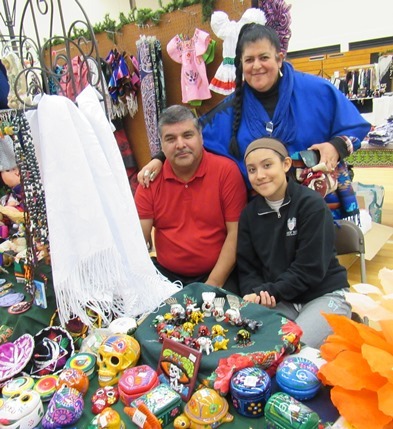 With her were Augustine Oropeza-Delgado, left, and Marisol Oropeza-Delgado, right. 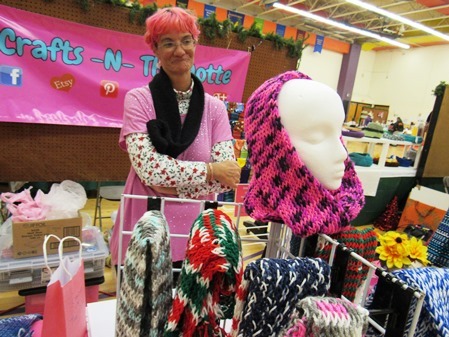 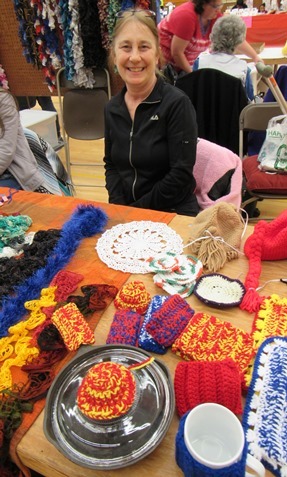 Laura Debus of Crafts ‘n’ the Dotte in Kansas City, Kansas, had loom-knitted scarves, scrubber rings, soap pockets and hand towels on display Saturday at the Eisenhower holiday craft show. 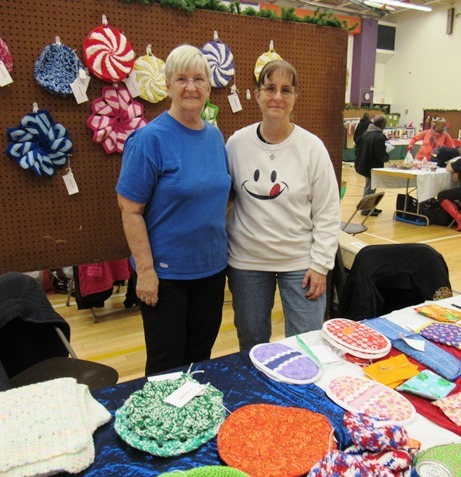 She said the scrubber rings sold very well. 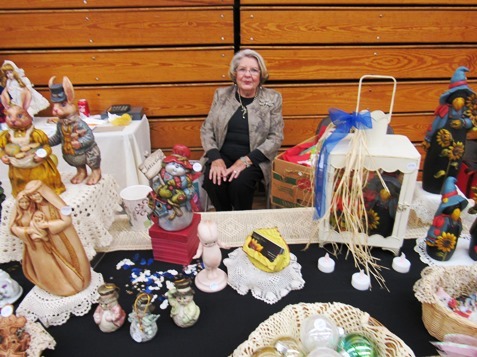 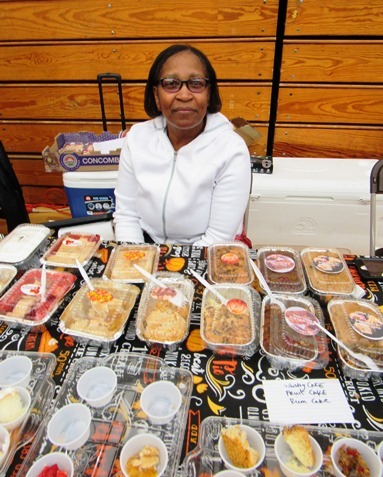 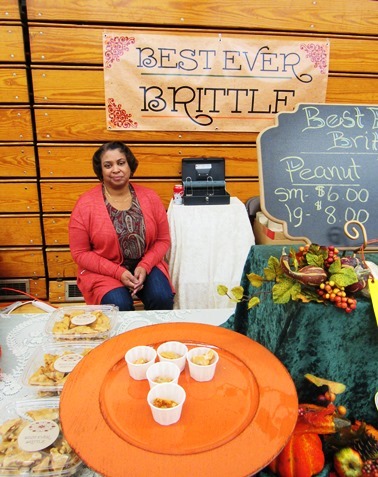 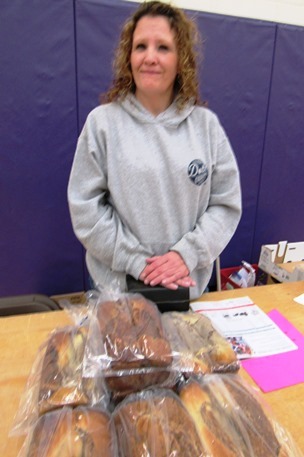 She plans to have a table at the Grinter holiday event Dec. 2.
Who was in charge of event? 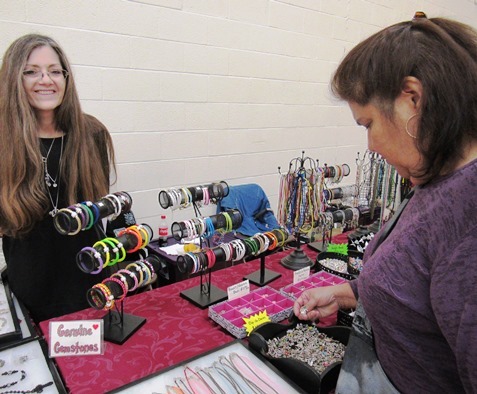 Is there a way to get contact information on the vendors shown above? 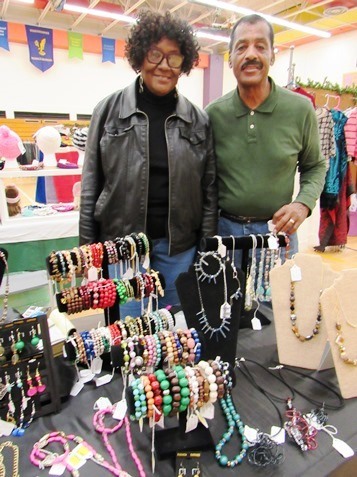 You might want to contact the Wyandotte County Parks and Recreation Department at https://www.facebook.com/WYCOParksandRec/.